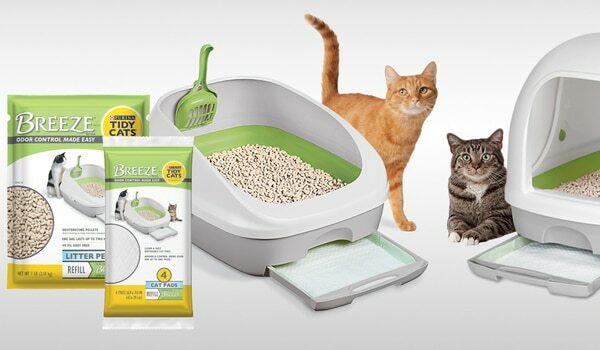 Each Tidy Cats® BREEZE® starter kit includes one litter box with custom scoop and enough refills to last one month for one cat. 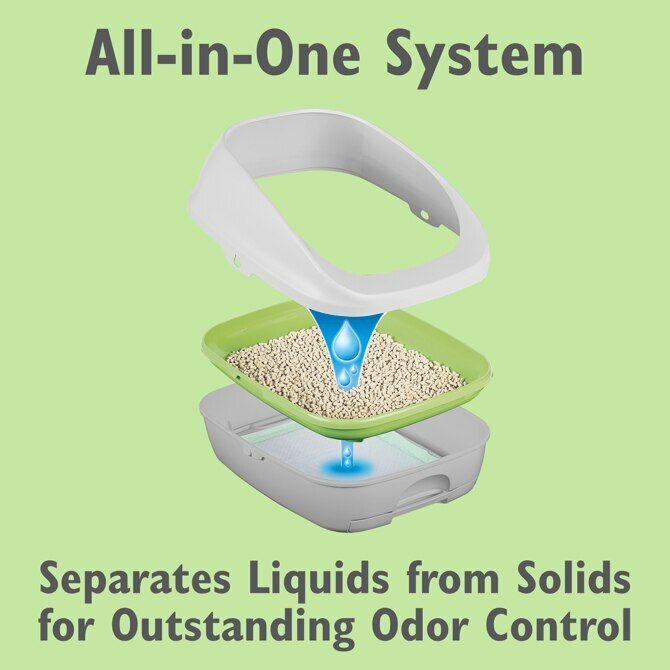 Only Tidy's pads and litter pellets are specially designed for the BREEZE Litter System, made to divide and conquer odor by keeping #1 and #2 separate. 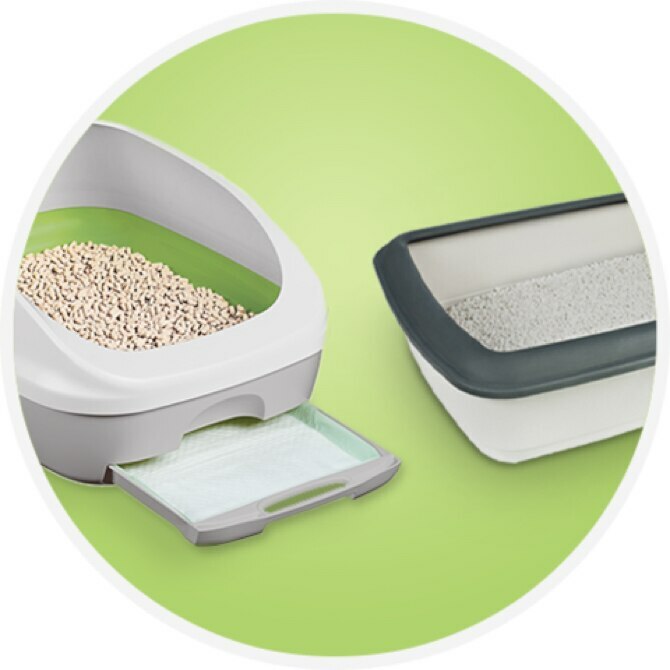 Designed with a grated tray that keeps pellets & solid waste on top, allowing liquids to pass through to the absorbent pad in the bottom tray. 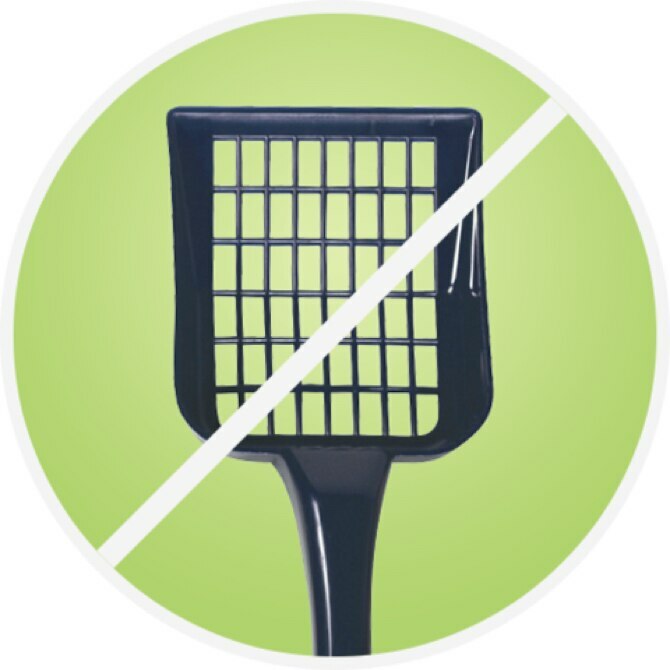 Patented dehydrating pellets keep #2 on top for maximum odor control and easy scooping. One 3.5 lb pouch lasts up to one month. 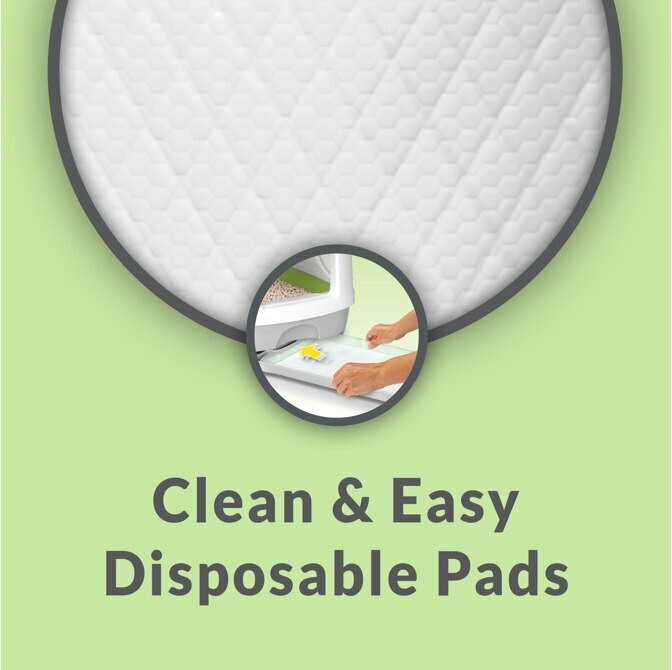 Sign up for Auto-Delivery on BREEZE pads & pellet refills to save 30% and get FREE SHIPPING on orders of $30 or more. Order a complete system if you don't have one yet. 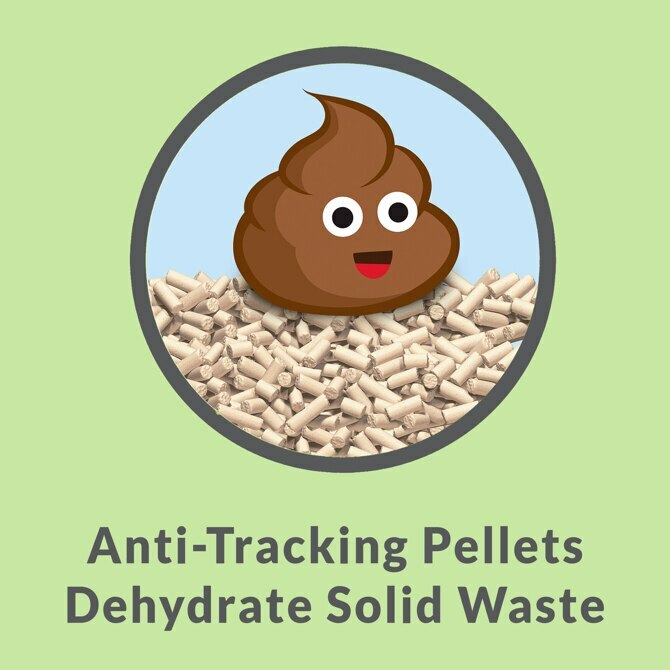 Order $30 in pad & pellet refills. 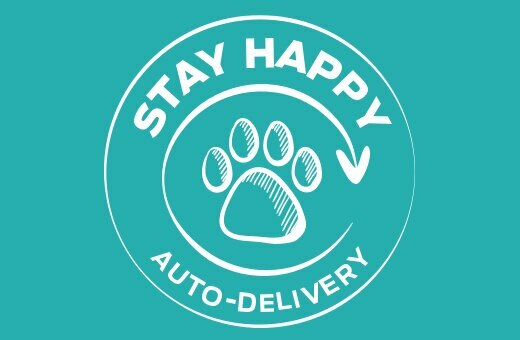 Choose Auto-Delivery and select how often you need refills delivered. 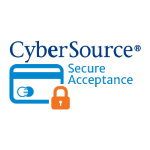 Save 30% and get FREE SHIPPING at checkout! Tidy wants the switch to BREEZE to be as easy for you and your cat as possible. That's why it's important to read all the instructions (they're simple, we promise!). Skipping transition steps can cause kitty to reject her new bathroom situation and, well, none of us wants that! 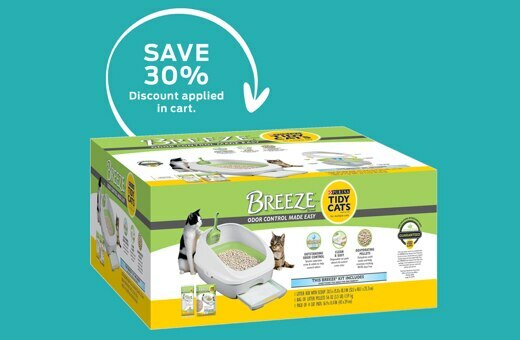 Introduce BREEZE by placing a new system next to each of your old litter boxes. Stop cleaning the old box. 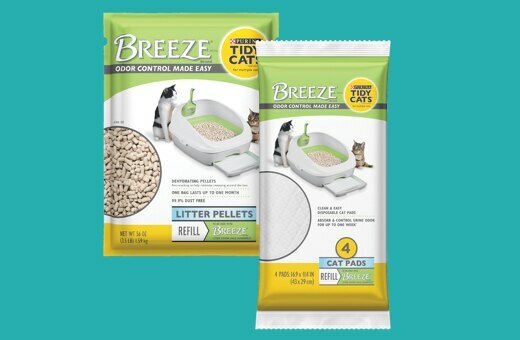 It might seem gross, but it's important for BREEZE to be the only pleasant option for kitty. 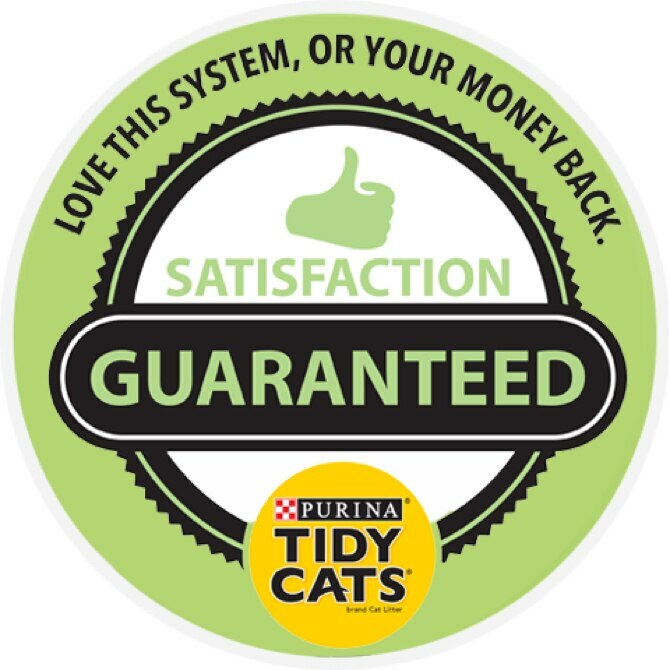 Once kitty faithfully uses the BREEZE system, toss those old litter boxes out!